We are offering PVC Tee with Ball Valve Lock. This is used as take off points from PVC 2 inch for Rain Hose. KSNM manufactures different kind of 16 mm connectors to use in drip irrigation system. 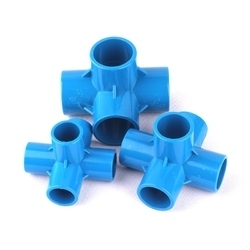 These connectors are made from virgin polypropylene co-polymer material for durability.These fittings are UV resistant. 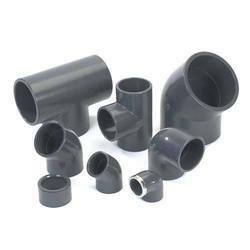 Barbed connectors ensures leak proof fittings with cylindrical lateral tube. Agri TEE PN4 is available in 20 mm to 110 mm, made from virgin material. Being a customer oriented organization, we are deeply engaged in offering a wide array of Agri Tee.